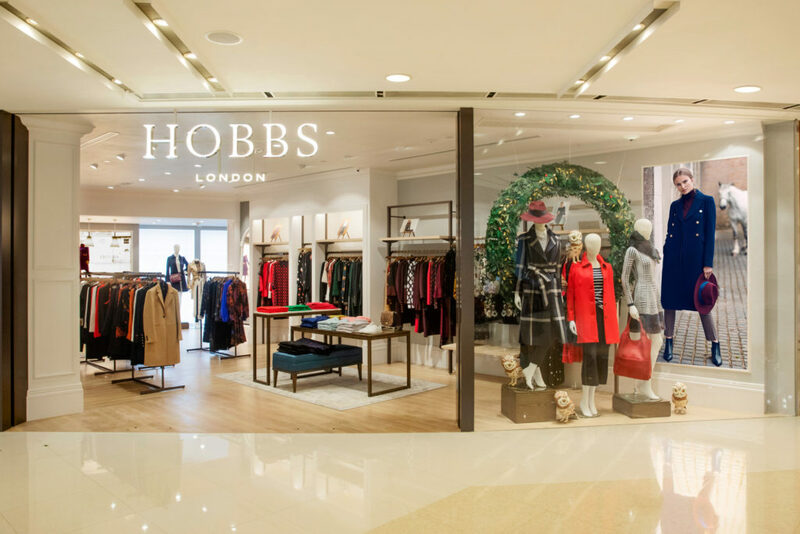 Hobbs London, a leading UK bridge brand providing timeless British elegance for smart, busy women, unveils its first store at IFC Mall, situated amidst the city’s vibrant business and shopping district. Trading from 1150 square feet, the brand will showcase its beautifully crafted collection of workwear, occasion dresses and casualwear, alongside its premium range of footwear and accessories. While visiting the store, customers can enjoy an attentive and bespoke shopping experience, with style advisors on hand to help provide styling solutions for their individual needs. Each Hobbs store is designed to reflect the brand’s London heritage and contemporary sensibility, and the Hong Kong store is no exception. Decorative panelling, elegant furnishings, ambient wall lighting and a refined colour palette all work together to create a unique and inviting shopping environment with a premium boutique feel. The clothing is displayed in easy-to-shop capsule collections, drawing upon the brand’s considered approach to womenswear. “We’re thrilled to be opening our Hong Kong store in the prestigious IFC Shopping Centre. Based on online sales and the customers visiting our London stores from Hong Kong, we know there is a keen interest in Hobbs, so this will give them a much easier way to shop with us. With our partners, Rue Madame Fashion Group, who are supporting this venture, we have an incredible opportunity to build a presence in this market and bring the women of Hong Kong closer to the timeless, impeccably tailored clothing we’re known for. It’s the start of an exciting journey and we’re looking forward to seeing where it will lead us to next.” said Meg Lustman, the CEO of Hobbs.